Join us this December in our magical WINTER HOLIDAY PLAYDATES! 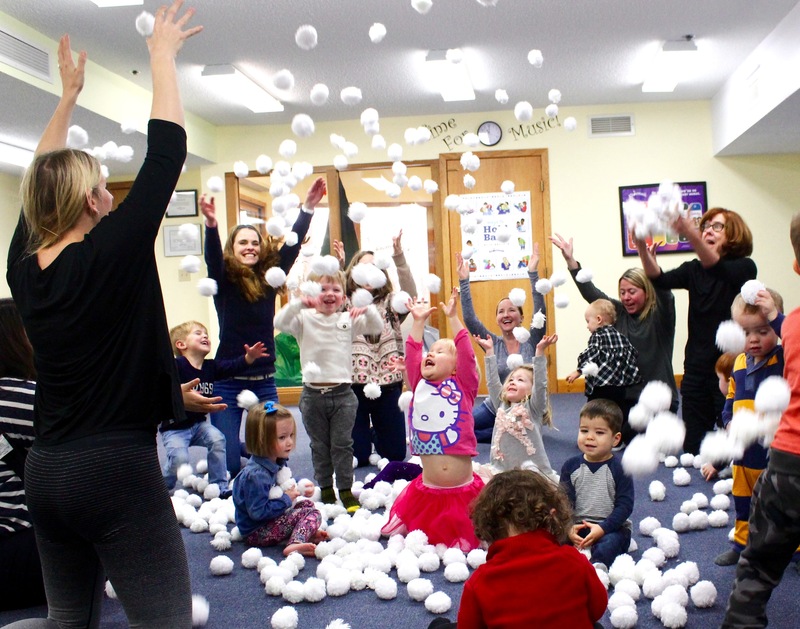 We’ll dance, sing, play instruments, ice skate and have a snowball fight all in the warmth of the Kindermusik studio in downtown Chanhassen! Playdates are for 1 Year Olds to 5.5 Year Olds and their caregivers. Sibling Babies under 1 years old are FREE to attend. Each playdate is 50 minutes in length with an additional 10 minute gather time before class and every child will take home a candy cane, sticker and each family a Holiday Music CD! Invite your friends & family! Join us for magical holiday fun! ONLY ONE DAY & TIME LEFT! Reserve Your Spot For Holiday Magic TODAY!